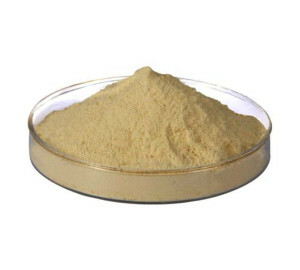 Enzymatically Hydrolyzed proteins are commonly used in media formulations to provide a rich source of complex nitrogen, carbon, peptides, carbohydrates, and amino acids necessary to provide reliable growth of microorganisms. As media formulations have evolved, so have requirements for nitrogen sources to be animal free, kosher, non genetically modified, and allergen free solutions. Based on several protein sources, a variety of commercial peptones have been developed. 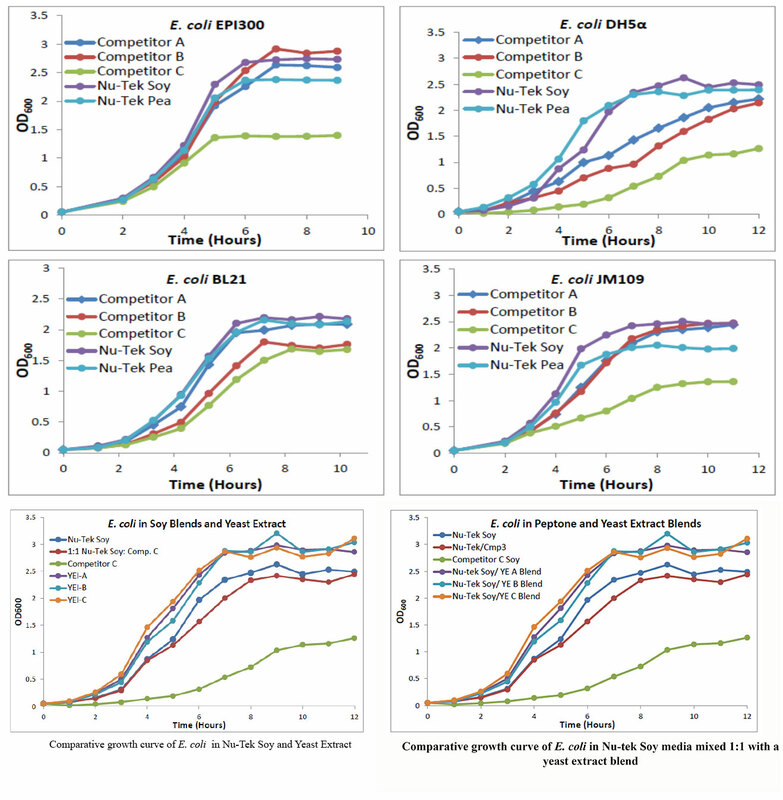 Along with the variation in composition of these peptones comes the question of performance: What effect does using these different peptones have on bacterial growth? Methodology: Cultures were grown in liquid media using the various peptones obtained from Nu-tek Bioscience in their formulations, with amounts based on the total percent nitrogen. During this time, the absorbance at 600 nanometers of the cultures was monitored at certain time intervals using a spectrophotometer. This allowed for the data to be plotted and compiled into comparative growth curves. Some strains are harmless, some pathogenic , and can cause illness or even death, along with strains developed for lab use. Each component is sterilized separately using an autoclave on liquid cycle for 35 minutes. When Nu-Tek Pea was mixed with a lesser quality peptone, it raised the comparative growth levels of the competitor to an OD that was similar to Nu-Tek Pea. BD Bionutrients Technical Manual. 3rd ed. N.p . : Beckton, Dickenson, 2006. Michiels, J. F., Sart, S., Schneider, Y. J., & Agathos, S. N. (2011). Effects of a soy peptone on γ-IFN production steps in CHO-320 cells. Process Biochemistry, 46(9), 1759-1766. Pasupuleti, V. K., & Braun, S. (2010). State of the art manufacturing of protein hydrolysates. In Protein Hydrolysates in Biotechnology (pp. 11-32). Springer Netherlands.